Like we’ve been saying, YOU CAN make a difference right from your computer by calling our NJ Governor, Chris Christie, at 609-292-6000 or write and ask him to support our Senate Bill S891 and Assembly Bill A2375 to help STOP illegal dumping. 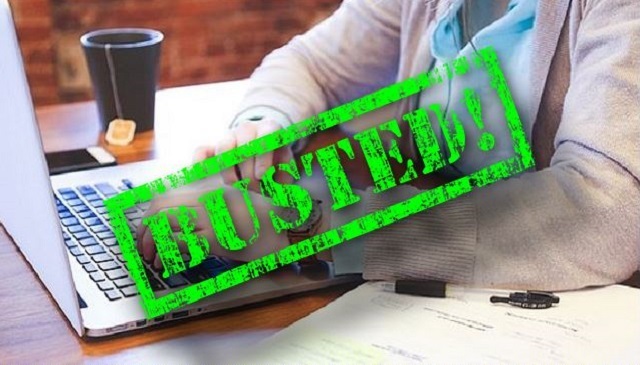 Do you recognize any of the people’s names the NJDEP BUSTED!? They’re from all across the state of New Jersey and lucky for us, the NJDEP will continue to do a great job of BUSTING! people for a long time to come. 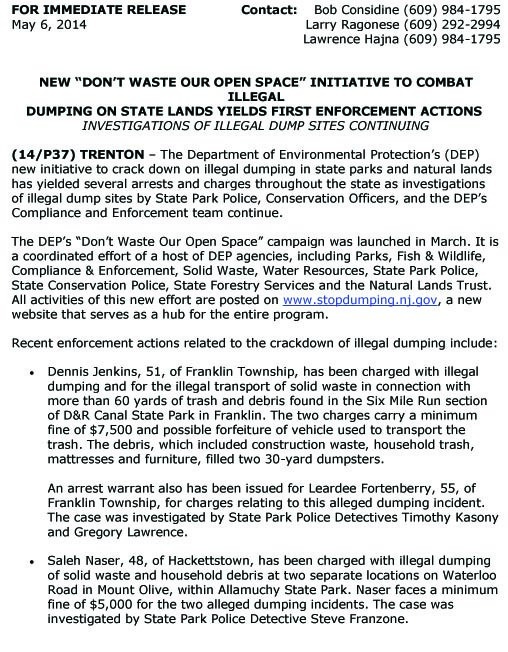 Click here or the image below to see the entire list from the NJDEP’s 2014 Press Release, see exactly what illegal dumping activity each person is guilty of, what town they’re from, and the monetary fine they had to pay for their actions. 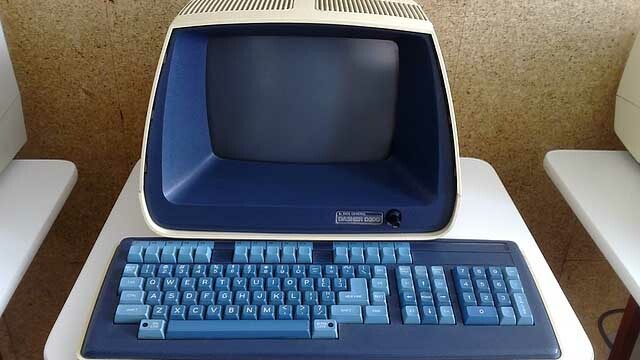 And remember – if you have any illegal dumping activity to report, you can private message Magnum on our “Thanks for Being Green” Facebook page, and we’ll make sure they get BUSTED! 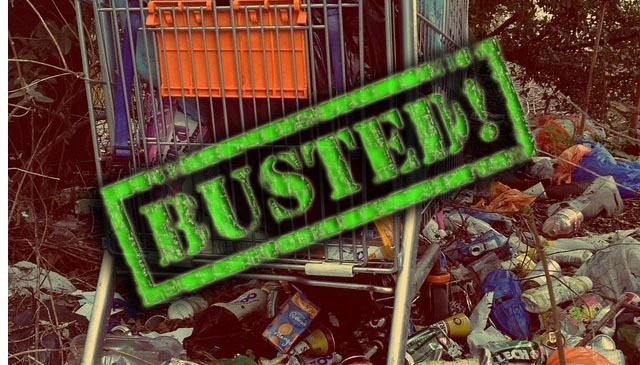 NOTE: “BUSTED!” is part of an on-going series initiated by Magnum Computer Recycling to shed light on the people, companies, towns, and the federal or state level decisions that allow and encourage illegal dumping of toxic electronic materials. BUSTED! Magnum is calling out Apple…yep, THAT Apple.